It means permanent secretaries and heads of government agencies will have to report to the Finance Ministry each year their assessment of findings on procurement audits, whether done internally or by the Auditor-General's Office (AGO). They will also have to set out follow-up actions and pre- emptive plans to avoid future weaknesses, Deputy Prime Minister and Finance Minister Tharman Shanmugaratnam told Parliament yesterday, in response to questions from seven MPs on recent procurement lapses unearthed by the AGO. 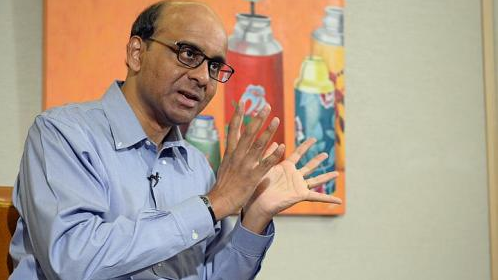 The public sector's procurement needs will grow and become more diverse, Mr Tharman said, adding: "It is crucial that the top management sets the right tone." He assured MPs that the lapses reported last month were due to non-compliance with rules, rather than gaps in the rules. The lapses were administrative or procedural, and came down to a lack of knowledge, carelessness or poor supervision, with no evidence of fraud or corrupt intent, he said. Most of the lapses were committed before further checks were put in place last year to ensure single bids had competitive terms, and the minimum period to submit quotations was extended from four to seven working days. He also suggested that the AGO's finding partly reflects its recent focus on procurement in its audits. One impetus was last year's graft probe over the purchase of Brompton bicycles by the National Parks Board after a tender received only one bid. Outlining the remedial steps taken, he said 60 officers and supervisors had been counselled, reprimanded or issued warning letters in the past two years. Performance bonuses or increments were docked when warranted. His ministry is reviewing the need to further tighten approval processes for transactions between related parties, such as those between a government agency and its subsidiary. One such lapse was uncovered in the latest audit by the AGO. Come next year, plans to build a pool of procurement specialists will be launched. Senior management and auditors will also be equipped with more analytical software to review procurement activities. Mr Tharman also acknowledged the need to avoid "causing civil servants to become risk averse and bureaucratic in handling procurements". He said vendors benefit from the new rules, citing how the share of quotations with single bids fell from 15 per cent last year to about 4 per cent this year, suggesting that more vendors could submit bids. And while the time taken to evaluate tenders has doubled over the past five years to up to four weeks, this is also due to the rise in the number of tenders that specify outcomes instead of process, and which take longer to evaluate. He disagreed with opposition MP Sylvia Lim's (Aljunied GRC) view that the AGO's legal scope for audit was narrower than that of countries such as Malaysia. Mr Tharman said its ambit "allows it to look at virtually all the internal controls and processes". No government agency sees the AGO's scope as too limited, he said, adding: "In fact, the AGO is... feared." However, he said, "the external auditor is not the fulcrum". "At the end of the day, supervision within an organisation, the tone that is set and internal audit are critical to a well-functioning procurement system," he said.